This is the first of two posts about the rise of “risk capital” and how it came to be associated with what became Silicon Valley. By the mid 1950’s the groundwork for a culture and environment of entrepreneurship were taking shape on the east and west coasts of the United States. Stanford and MIT were building on the technology breakthroughs of World War II and graduating a generation of engineers into a consumer and cold war economy that seemed limitless. Communication between scientists, engineers and corporations were relatively open, and ideas flowed freely. There was an emerging culture of cooperation and entrepreneurial spirit. At Stanford, Dean of Engineering Fred Terman wanted companies outside of the university to take Stanford’s prototype microwave tubes and electronic intelligence systems and build production volumes for the military. While existing companies took some of the business, often it was a graduate student or professor who started a new company. 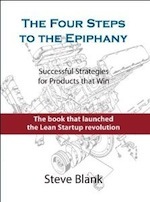 The motivation in the mid 1950’s for these new startups was a crisis – we were in the midst of the cold war and the United States military and intelligence agencies were rearming as fast as they could. Yet one of the most remarkable things about the boom in microwave and silicon startups occurring in the 1950’s and 60’s was that it was done without venture capital. There was none. Funding for the companies spinning out of Stanford’s engineering department in the 1950’s benefited from the tight integration and web of relationships between Fred Terman, Stanford, the U.S. military and intelligence agencies and defense contractors. These technology startups had no risk capital – just customers/purchase orders from government/military/intelligence agencies. This post is about the rise of “risk capital” and how it came to be associated with what became Silicon Valley. There was no organized company to seek out and evaluate new venture ventures, manage investments in them and nurture their growth. Several wealthy families in the U.S. set up companies to do just that – find and formalize investments in new and emerging industries. In 1946 Jock Whitney started J.H. Whitney Company by writing a personal check for $5M and hiring Benno Schmidt as the first partner (Schmidt turned Whitney’s description of “private adventure capital” into the term “venture capital”). Jock Whitney writes himself a check to fund J.H. Whitney Co. The region around Boston’s Route 128 would boom in the 1950’s-70’s with technology startups, many of them funded by ARD. ARD’s most famous investment was the $70,000 they put into Digital Equipment Corporation (DEC) in 1957 for 77% of the company that was worth hundreds of millions by its 1968 IPO. 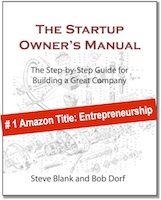 It wasn’t until the rise of the semiconductor industry and a unique startup culture in Silicon Valley that entrepreneurship became associated with the West Coast. ARD proved that institutional investors, not just family money had an appetite for investing into venture capital firms. One of the ironies in Silicon Valley is that the two companies which gave birth to its entire semiconductor industry weren’t funded by venture capital. Since neither of these startups were yet doing any business with the military—and venture capital as we know it today did not exist, they had to look elsewhere for funding. Instead, in 1956/57, Shockley Semiconductor Laboratory and Fairchild Semiconductor were both funded by corporate partners — Shockley by Beckman Instruments, Fairchild by Fairchild Camera and Instrument. More on the rise of SBIC’s, Limited Partnerships and the venture capital industry as we know it today in Part XII of the Secret History of Silicon Valley here. In 1949, with the detection of the first Soviet nuclear weapons test, the Iron Curtain falling across Europe and the fall of China to the Communists, Cold War paranoia drove the U.S. military to rearm and mobilize. Setting up a separate Applied Electronics Lab for military funded programs doubled the size of the electronics program at Stanford. The new Applied Electronics Laboratory was built with Navy money and a gift from Hewlett-Packard. With the memories of WWII only five years old, and the Cold War now a shooting war in Korea, there was very little discussion (or dissension) about turning a university into a center for the production of military intelligence and electronic warfare systems. The work in the applied program focused in fields in which faculty members or senior research associates specialized. Many of the other staff in the applied program were full-time employees hired to work solely on these military programs. The Applied Electronics Lab used the ideas and discoveries (on microwave tubes and receiver circuits) from Terman’s basic research program in the Electronic Research Lab. The Applied Lab would build prototypes of complete systems such as Electronic Intelligence systems, Electronic Warfare Jammers, and Over the Horizon Radar. The Applied Electronics Lab also continued work on the Klystron, pushing the tube to produce megawatts in transmitted power. (Stanford designed Klystrons producing 2½ Megawatts were manufactured by Varian and Litton would power the radar in the BMEWS (Ballistic Missile Early Warning System) built at the height of the cold war.) The close tie between the two labs was a unique aspect of the Stanford Lab. 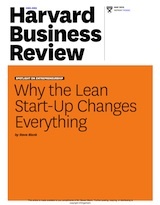 Stanford had a Customer Development loop going on inside their own lab. 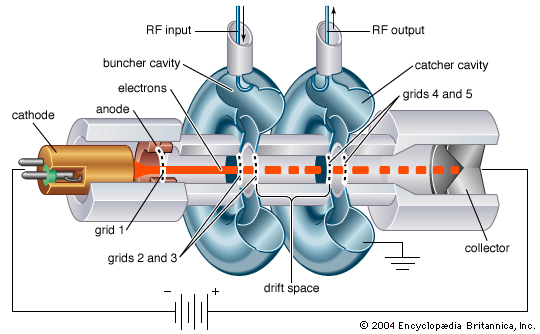 The discoveries in tube and circuit research suggested new electronic intelligence and countermeasure techniques and systems; in turn the needs of the Applied Lab pushed tube and circuit development. With the Applied Electronics Lab Stanford was becoming something akin to a federal or corporate lab run under university contract. The university found government contracts profitable as the government reimbursed their overhead charges (their indirect costs.) This means they could fund other non-military academic programs from this overhead. The Stanford Applied Electronics Lab built prototypes which were handed off to the military labs for their evaluation. Subsequently military labs would contract with companies to build the devices in volume. In some cases, branches of the military contracted directly with Stanford which worked with local contractors in Silicon Valley to build these components or systems for the military. The prototype ELINT receivers built by the Applied Electronics Lab used the Stanford Traveling Wave Tubes. They quickly went into production at Sylvania Electronic Defense Labs down the street in Mountain View and Hallicrafters in Chicago. Later versions would be built by numerous industry contractors and installed on the fleet of ELINT planes orbiting the Soviet Union. These traveling wave tubes would also become the heart of the panoramic receiver used on the B-52 by the electronic warfare officer to get the bomber through the Soviet Air Defense system. The last major area of research that the Applied Electronics Lab group investigated was how radio signals propagated within the earth’s ionosphere. Over the next fifteen years this Radio Science Laboratory would receive the most funding of all departments in the lab (from the CIA) to build a ground based ELINT system. They would build and deploy two Over The Horizon Radar (OTHR) systems to detect Soviet and Chinese ballistic missile tests using ground based radars. In 1953 the Office of Naval Research told Terman that all military-funded projects (basic or applied, classified or not) needed to be in their own separate physical building. As a result Stanford moved the Applied work from the Electronics Research Lab into its own building. In 1955, the pretense of keeping unclassified and classified work separate imposed too much of an administrative overhead and Stanford merged the Applied Electronics Lab and the Electronics Research Laboratory into the Systems Engineering Lab. The Applied Electronics portion of the lab was now the size of a small company. It had 100 people, 18 of them full time faculty, 33 research associates and assistants and 33 other tube technicians, draftsman, machinists, etc. Over half this lab would hold clearances for military secrets. (Top Secret: Terman, Harris, McGhie, Secret: 44 others, Confidential: 8 others. Terman, Harris and Rambo also had Atomic Energy Commission “Q” clearances.) Some students who were getting their engineering graduate degrees wrote masters and PhD thesis that were classified. Unless you had the proper clearances you couldn’t read them. Terman and Stanford had just made a major bet on the cold war, and Stanford ranked sixth among university defense contractors. During a typical year, the Applied Electronics Lab would host classified visits from military labs and defense contractors. By early 1950’s Stanford started holding a two day meeting for contractors and the military. The 1955 attendee list gives you a feeling of the “who’s who” of the military/industrial establishment: RCA, GE, Motorola, AIL, Bendix, Convair, Mepar, Crosley, Westinghouse, McDonnell Aircraft, Douglas Aircraft, Boeing, Lockheed, Hughes Aircraft, North American, Bell Aircraft, Glen Martin, Ryan Aeronautics, Farnsworth, Sperry, Litton, Polarad, Hallicrafters, Varian, Emerson, Dumont, Maxson, Collins Radio. Other universities doing classified ELINT and Electronic Warfare work attended including University of Michigan, Georgia Institute of Technology and Cornell. Over a hundred government contractors reviewed Stanford’s work on tubes and systems. 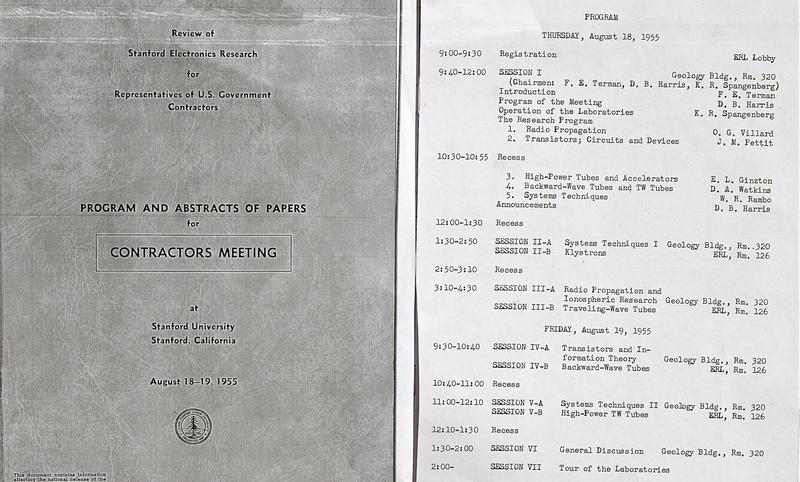 This was a classified conference at a university, the contractors not only got to hear the conference lectures, but also visited exhibits on the devices and systems the lab had built. The lab would repeat the conference the following week for government agencies doing military work. The Applied Electronics Lab solidified Stanford’s lead as one of, if not the place in the U.S. military for advanced thinking in ELINT and Electronic Warfare. It would turn on its head the relationship of universities and corporations. Traditionally universities chased corporations for funding and patronage, but the military’s dependence on Stanford’s and Fred Terman’s judgment turned that relationship on its head. Now the military was listening to Terman’s advice about which military contractors should get the order for to mass produce the Stanford systems. The contractors were now dependent on Stanford. During the 1950’s Fred Terman was an advisor to every major branch of the U.S. military. He was on the Army Signal Corps R&D Advisory Council, the Air Force Electronic Countermeasures Scientific Advisory board, a Trustee of the Institute of Defense Analysis, the Naval Research Advisory Committee, the Defense Science Board, and a consultant to the President’s Science Advisory Committee. His commercial activities had him on the board of directors of HP, Watkins-Johnson, Ampex, and Director and Vice Chairman of SRI. It’s amazing this guy ever slept. Terman was the ultimate networking machine for Stanford and its military contracts. By the early 1950’s many of the corporations that attended the yearly Stanford Electronic Warfare conferences would establish research labs centered around Stanford for just this reason – to learn from Stanford’s basic and applied research and get a piece of the ELINT and Electronic Warfare contracting pie. Stanford Industrial Park was the first technology office park set up to house local and out of state microwave and electronics startups. First occupied in 1953 it would include Varian, Watkins Johnson, Admiral, HP, General Electric, Kodak, Lockheed. Other east coast companies which established branches in Microwave valley in the 1950’s included IBM, Sylvania, Philco, Zenith and ITT. By 1956 Fred Terman had every right to be pleased with what he had helped build in the last ten years in and around Stanford. The Stanford Electronics Lab was now the center of ELINT and Electronic Warfare. Startups were sprouting all over Microwave Valley delivering microwave tubes and complete military systems, slowiy replacing the orchards and fruit trees. Granger Associates was a 1956 startup founded by Bill Ayer, a graduate student in the Applied Electronics Radioscience Lab, and John Granger, a former RRL researcher, building ELINT and Electronic Warfare systems (the Granger jammer was carried on the U-2.) Four years later Ayer and another Granger engineer would leave Granger and found one of the preeminent electronic warfare and ELINT companies: Applied Technologies. The future of the valley was clear – microwaves. Yet in 1956 two events would change everything. At the time neither appeared earthshaking or momentous. First, a Bell Labs researcher who had grown up in Palo Alto, had his own interesting World War II career, and recently served as a military advisor on cold war weapons systems, decided to follow Fred Terman’s advice to locate his semiconductor company near Stanford. The second was when a Southern Californian aircraft company decided to break into the missiles and space field by partnering with Stanford electronics expertise. It moved its electronics research group from Burbank to the new Stanford Industrial Park and built its manufacturing facility in Sunnyvale. Shockley Semiconductor Laboratory and Lockheed Missiles Systems Division would change everything. Read about it in Part XI of the Secret History of Silicon Valley here. In the 1950’s Stanford University’s Electronics Research Laboratory (ERL) continued to develop innovative microwave tubes for the U.S. military. This next product, the Traveling Wave Tube, would have a major impact on electronic intelligence. Stanford’s Dean of Engineering, Fred Terman, encouraged scientists and engineers to set up companies to build these microwave tubes for the military. Funded by military contracts, these 1950’s microwave tube startups would help build Silicon Valley’s entrepreneurial culture and environment. Starting in 1946 Electronic Intelligence aircraft (ELINT) had been probing and overflying the Soviet Union to understand their air defense system. During the 1950’s, the U.S. Air Force Strategic Air Command, U.S. Navy and the CIA were the primary collectors of tactical and operational ELINT on the Soviet PVO Strany Air Defense system. (The NSA owned COMINT collection.) They flew an alphabet soup of Air Force and Navy planes (Navy PB4Y-2’s, P2V’s, P4M’s and EA-3’s, Air Force B-17s, EC-47’s, RB-29s, RB-50’s, and the ultimate ELINT collector of the 1950’s – the RB-47H.) Common to all these planes (generically called Ferrets) is that they were loaded with ELINT receivers, manned by crews called Crows. The Strategic Air Command needed this intelligence to understand the Soviet air defense system (early warning radars, Soviet fighter plane radar, Ground Control Intercept radar, Anti-Aircraft gun radar, and radars guiding Soviet Surface to Air Missiles.) We needed this data to build radar jammers that could make the Soviet air defense radars ineffective so our bombers with their nuclear payloads could reach their targets. The information we collected would be passed on to defense contractors who would build the jammers to confuse the Soviet air defense radars. The ELINT program sought answers to operational questions like: What was the Radar Order of Battle a penetrating bomber would face? Were there holes in their radar coverage our bombers could sneak through? What was the best altitude to avoid the Soviet defenses? ELINT operators on each flight were tasked to gather basic data about the characteristics of the radar: is this a new type of radar or an existing one? What is its frequency, power, pulse repetition interval, rotation rate, scan rate, polarization, carrier modulation characteristics, etc. Then they would use direction finding equipment on their aircraft to locate its position. The ultimate dream of ELINT equipment designers was a “high-probability of intercept” receiver, one that would pick up a signal that came up on any frequency and capture even a single pulse, however brief. This was a two-pronged challenge: the U.S. needed receivers that could tune much faster than any of the manual methods that existed, and it needed receivers that could tune a much broader range of frequencies along the electromagnetic spectrum. Again Stanford technology would solve these challenges. In the last post we described Stanford’s high power, electronically tuned microwave tubes (the Backward Wave Oscillator) which made high power, frequency agile airborne jammers possible. Now Stanford’s Electronics Research Laboratory delivered another tube which forever changed electronic intelligence receivers – the Traveling Wave Tube (TWT.) Invented in Britain and further developed at Bell Labs, this tube would deliver the “holy grail” for ELINT receivers – instantaneous scan speed and extremely broad frequency range. A Traveling Wave Tube (TWT) could electronically tune through microwave frequencies at 1000 times faster than any other device, and it could operate in a frequency range measured in gigahertz. As a microwave preamp, it had high gain, low noise and extremely wide bandwidth. It was perfect for a new generation of ELINT receivers to be built into the Ferret planes searching for signals around the Soviet Union. Later on TWTs would be built that could not only be used in receivers, but also actually transmit broadband microwaves at high power. While Stanford was doing its share of pure research, what’s interesting about the Electronics Research Laboratory (ERL) was its emphasis on delivery of useful products for its customers – the military – from inside a research university. The military had specific intelligence requirements and that meant that a TWT needed to be rugged enough to withstand being put on airplanes. This military/university collaboration for deliverable products is where the Electronics Research Laboratory (ERL) would excel – and ultimately end up leading to its destruction. Stanley Kaisel, a research associate at the Stanford ERL tube laboratory, left to join Litton’s startup. He left Litton in 1959 and started Microwave Electronics Corporation (MEC) to make low power, low noise TWTs. He sold the company to Teledyne in 1965. Dean Watkinsthe leader of TWT research at Stanford’s Electronic Laboratory, left Stanford in 1957 and co-founded Watkins-Johnson (with R.H. Johnson the head of Hughes Aircraft microwave tube department) to market advanced TWTs to the military. Unlike the other Stanford tube spinouts which were funded with military contracts, Watkins-Johnson would be one of the first venture capital funded companies in the valley. Its first round of funding came from Tommy Davis (an ex-WWII OSS agent) then at the Kern County Land Company who knew Fred Terman through his military contacts. Terman and Davis negotiated the Watkins-Johnson investment and would sit on the Watkins-Johnson board together. 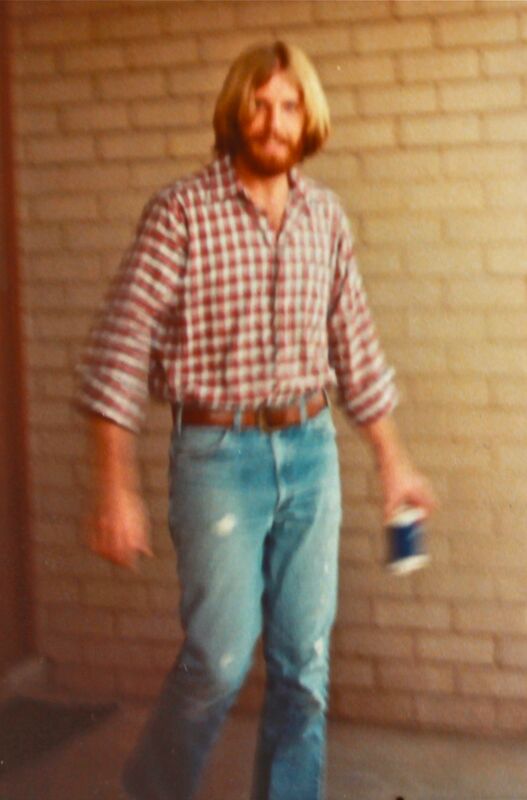 Frustrated with Kern’s lack of interest in investing in more technology companies, Tommy Davis would go on to found one of Silicon Valley’s first VC firms with Arthur Rock, creating Davis and Rock, founded in 1961. They would be one the first venture firms to organize their firm as a partnership rather than an SBIC or public company. They would also set the standard for the 20% carry for general partners. Tommy Davis would go on to found the Mayfield Fund in 1969. These Stanford tube spinoffs joined the growing list of other microwave tube manufacturers in the valley including Eitel-McCullough, Varian, Litton Industries and Stewart Industries. Others would soon join them. By the early 1960s, a third of the nation’s TWT business and a substantial share of the klystron and magnetron industry was located in the Santa Clara Valley– and almost all of these companies emerged from one engineering lab at Stanford. But microwave tubes were just the beginning of Stanford’s relationship with the military. Fred Terman was just getting warmed up. Much more was to come. Read about in Part X of the Secret History of Silicon Valley here. This post makes sense in context with the previous post. The Korean War catapulted Stanford University’s Electronics Research Laboratory (ERL) into a major player in electronic intelligence and electronic warfare systems. Encouraged by their Dean, Fred Terman, scientists and engineers left Stanford Electronics Research Laboratory to set up companies to build microwave tubes and systems for the military. Funded by military contracts these 1950’s startups would help build Silicon Valley’s entrepreneurial culture and environment. 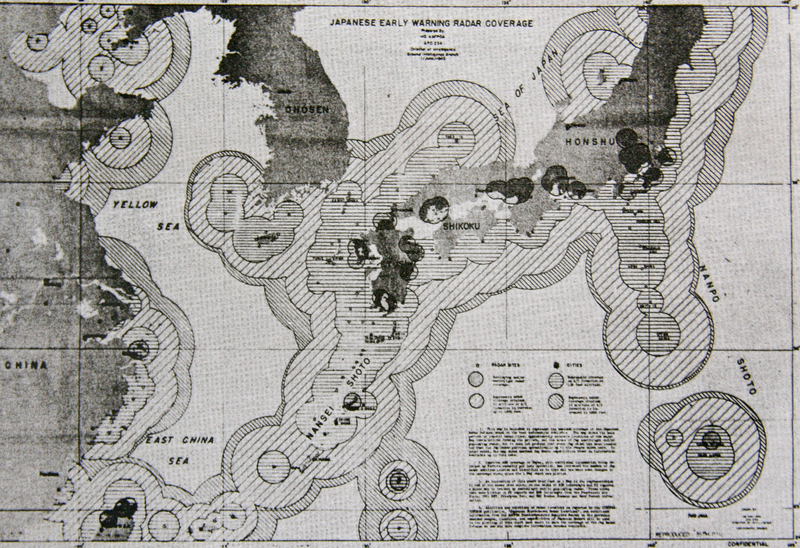 In a 1950 proposal to the Navy Fred Terman noted that the work that Stanford proposed “correlates almost ideally with related industrial activities in this area.” There were already “tube manufacturers in the area (Eitel-McCullough, Litton Industries, Varian Industries, Henitz and Kaufman and Lewis and Kaufman) that represented an integrated set of tube facilities for basic research, advanced development, engineering of new tubes, model shop and pilot and quantity production. And that circuit work is carried on by several organizations in the neighborhood, with Hewlett Packard Company being especially notable in this regard.” Terman was describing the valley’s already existing ecosystem for building vacuum tubes in 1950. But unlike the majority of existing tube manufacturers in the valley who were making products for radios, Stanford Electronics Research Lab tube group had a special customer with very special needs – the U.S. Air Force and its Strategic Air Command. So what exactly was the Electronics Research Lab designing? What were these microwave tubes? Why were they so important to the military? And what were these electronic intelligence and warfare systems used for? Stanford’s work in microwave power tubes would solve two of the Strategic Air Command’s most important cold war problems. During a nuclear war in the 1950’s the Strategic Air Command was going to fly its bombers with nuclear weapons into the Soviet Union. To protect their country, the Soviets were building an air defense network to warn, track and destroy these attacking bombers. Our bombers used jammers to confuse the Soviet air defense radars. But the jammers that we built in WWII were no longer sufficient to protect the planes we wanted to send into the Soviet Union. These 1940’s jammers (built by the wartime lab headed up by Terman and his team now at Stanford) had been built around tubes originally designed for radio applications, put out 5 watts of power. This miniscule amount of jamming power was acceptable because each WWII bomber flew in formation with hundreds of other planes, together attacking just a single target each day. The combined jamming power of all the bombers on a mission was enough to saturate and confuse German radar. But in a potential cold war attack on the Soviet Union, our bombers were not going to fly in a massed formation to attack one target. Instead we would attack multiple targets in the Soviet Union at the same time. And while a few bombers would penetrate the periphery of the Soviet Union together, each plane — now able to carry more explosive power than all the bombs dropped in WWII — would approach its target individually. As a result of this change in strategy (and explosive capacity), each bomber had to supply enough jamming power to defend itself. 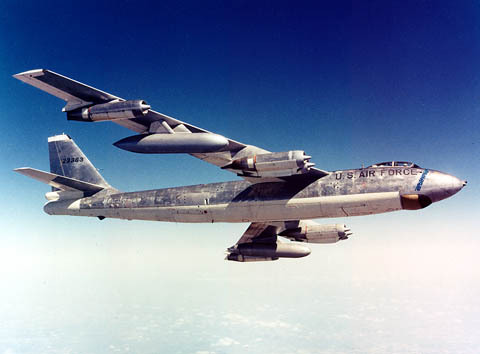 As a result, to protect its bombers flying over the Soviet Union the U.S. Air Force needed power tubes that had hundreds of times more power than WWII devices. Terman’s Systems Engineering Research Lab at Stanford would develop microwavepower tubes that offered a solution to both challenges and would be a a game changer for electronic warfare at the time. Stanford’s Electronics Research Laboratory first contribution to high power microwave tubes for airborne electronic warfare in the 1950’s was the Backward Wave Oscillator (BWO). Stanford engineers realized that this tube, which had been invented in France, could electronically tune through microwave frequencies while producing almost a 1,000 watts of power – (equivalent to the output of 200 jammers over Germany in WWII.) Perfecting this tube for use as an airborne jammer became one of the labs primary objectives. 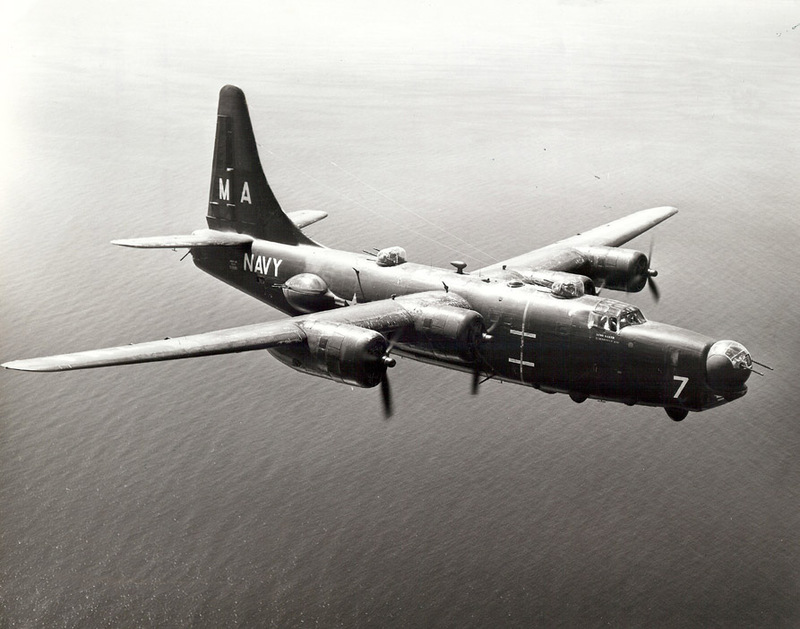 This was a critical development to support the new tactics of single bombers penetrating the Soviet Union. Equipping a bomber with several jammers built around Backward Wave Oscillator could give it enough power to use barrage jamming against multiple radars and get it through to its target. Stanford gave its Backward Wave Oscillator design drawings to tube manufacturers throughout the U.S. By the 1960’s, the U.S. Air Force would ultimately equip its B-52 bombers with 6,000 jammers using these these oscillators. A technician in Stanford’s ERL tube shop, Ray Stewart, thought he could build these Backward Wave Oscillators commercially, and left to start Stewart Engineering in Scotts Valley near Santa Cruz. The company had more orders from the military than it could handle. (Stewart would sell his company to Watkins Johnson, one of the most financially successful of the Stanford microwave tube spinoffs. More about Watkins-Johnson in the next post.) Stewart joined a growing list of other microwave startups beginning to populate the valley. 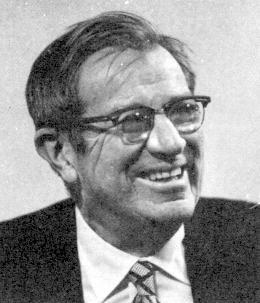 Another of Terman’s students, Charles Litton, would start several Silicon Valley companies, and in the 1950’s Litton Industries would become the leader in pulse and continuous wave magnetrons used in jammers and missiles. Magnetrons were the first high power microwave device invented in WWII. Used in radars systems and missiles, magnetrons could produce hundreds of watts of power. These first microwave tubes were just the beginning of a flood of innovative products for the military. The next Stanford tubes and systems would revolutionize the Electronic Intelligence aircraft that were circling (and flying over) the Soviet Union. More in the next post, Part IX of the Secret History of Silicon Valley. These next series of posts chronicles the untold story of how one professor returning from one war decides to enlist Stanford University in waging the next one and by accident, laid the foundation for Silicon Valley, venture capital and entrepreneurship as we know it today. These posts cover two distinct periods – the first, the rise of “Microwave Valley” chronicles the decade of 1946-1956 as Stanford University became the hub of military/industry contracting in the Bay Area. The second series of posts, the rise of “Spy Satellite Valley,” starts in 1956 with two game changing events– one very public – the valley’s first semiconductor company and one very, very private – the valley as the home of the first optical and ELINT spy satellites and submarine-launched ballistic missiles. The story ends in 1969 with campus riots at Stanford. 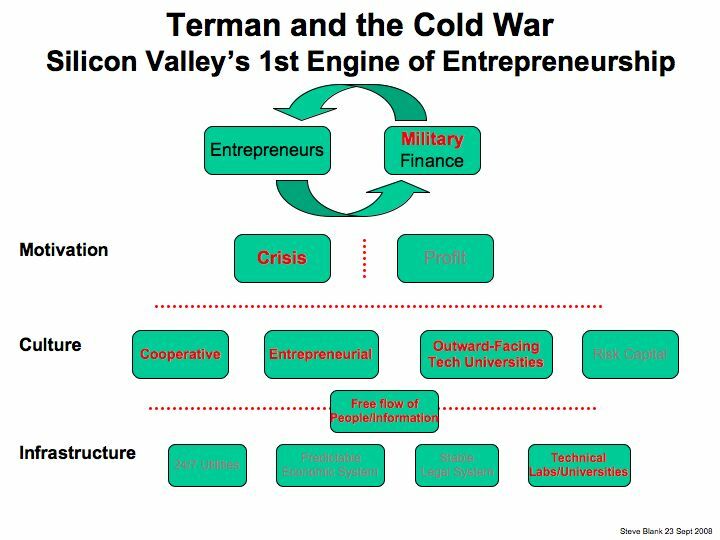 Silicon Valley entrepreneurship was born in the middle of a secret war with the Soviet Union. It’s a war you probably never heard of since most of it was classified, and both parties never wanted it public lest it got out of hand. Yet it was a war in which tens of thousands of Americans fought and hundreds died. 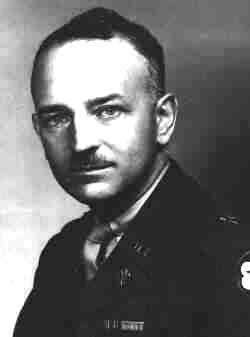 Frederick Terman, Stanford’s Dean of Engineering, enlisted Stanford University as a major arms suppliers in this war. In doing so he accidentally launched entrepreneurship in Silicon Valley – with the help of the U.S. military, the CIA and the National Security Agency. In 1946 after running the military’s secret 800 person Electronic Warfare Lab at Harvard, Fred Terman returned to Stanford as the dean of the engineering school. Terman’s goal was to build Stanford’s electrical engineering department into a center of excellence focused on microwaves and electronics. Having already assembled one of most advanced electronic labs in World War II, Terman was one of the few academics who could do it. Terman’s first step was to recruit 11 former members of his staff from the Harvard Radio Research Lab — “Congratulations, you’re now Stanford faculty.” Not only were they all great researchers, but they also had just spent three years building electronic warfare systems that were used in World War II. They would become the core of Stanford’s new Electronics Research Lab (ERL.) While officially in the electrical engineering department, the lab reported directly to Terman. Next, Terman used his military contacts to secure funding for the Lab from the Office of Naval Research, the Air Force and the Army Signal Corps. (Although the country had returned to peace, some in the military wanted to preserve our ability to fight the next war.) By 1947 the U.S. military was funding half of Stanford’s engineering school budget. Terman proudly pointed out that only Stanford, MIT and Harvard had a military sponsored electronics program. In the 1950’s Stanford Engineering Research Lab (ERL) made major contributions to electronic intelligence and electronic warfare. Its basic research focused on three areas: microwave receiving and transmitting tubes, radar detection and deception techniques and understanding the earth’s ionosphere. Stanford became one of the leading research centers in advancing the state of microwave tubes including the klystron which could provide high-power microwave in pulses, magnetrons which could provide continuous wave microwave power, and backward wave oscillators and traveling wave tubes – both electronically tunable microwave tubes. Stanford’s research on the earth’s ionosphere would lead to meteor-burst communication systems and Over the Horizon Radar used by the NSA and CIA to detect Soviet and Chinese missile tests and ultimately to the research that made Stealth technologies possible. Its studies in radar detection and deception techniques would lead Stanford to the applied part of it mission. Stanford would build prototypes of electronic intelligence receivers (high probability of intercept/rapid scan receivers) for use by the military. These applied systems were prototypes of the jamming devices found on our bombers and receivers found in NSA ground stations and the fleet of ELINT aircraft flying around and in the Soviet Union and later on in the U-2, SR-71 and ELINT ferret subsatellites. After World War II ended, our wartime ally the Soviet Union kept its army in Eastern Europe and forcibly installed Communist governments in its occupied territories. Meanwhile the U.S. demobilized its army, sent its troops home, scrapped most of its Air Force and mothballed almost all its Navy. As tensions rose, there was a growing fear that the Soviets could invade and occupy all of Western Europe. In 1949, the Soviets exploded their first nuclear weapon and ended the U.S monopoly on atomic weaponry. That same year China fell to the communists under Mao Zedong, and the Nationalist government retreated to Taiwan. A year later the Korean War turned the cold war hot, as communist North Koreans attacked and overran most of South Korea (except for a small defensive perimeter in the south.) American and United Nations troops entered the war fighting North Koreans and then Communist Chinese ground troops, and Soviet fighter pilots for three years. 34,000 U.S. soldiers died in battle. To the U.S. the Soviet Union seemed bent on world conquest with Korea just a warm-up for an atomic war with massive casualties. (This was not an unreasonable supposition after a conventional world war which had left 50 million dead.) Faced with the reality of the Korean War, the U.S. began to rebuild its military. But now the Soviet Union was its target enemy, and nuclear weapons had become the principal instrument of offense. Instead of rebuilding its WWII forces, the U.S. military embraced new technologies (jets, electronics, missiles, nuclear subs) and built entirely new weapon systems (bombers with nuclear weapons, ICBMs, SLBM’s) for a new era of international conflict. Europe, completely outnumbered and outgunned by the Soviet Union, built the North Atlantic Treaty Organization (NATO) as a bulwark against ground Soviet attack. And the U.S. planned strikes with nuclear armed bombers if war in Europe broke out. Stanford’s Electronic Research Lab (ERL) which had focused on basic research on microwave tubes from 1946 was about to scale up for the Cold War. One of the major differences between the war with Germany and the cold war confrontation with the Soviet Union had to do with access. The Soviet Union was a closed country. Unlike Germany in World War II, the U.S. could not fly across the Soviet Union to learn how their defenses were set up. We did not have radar maps of their cities. The Soviet’s secrecy fed our cold war paranoia. The U.S. was determined to find out what was going on inside. 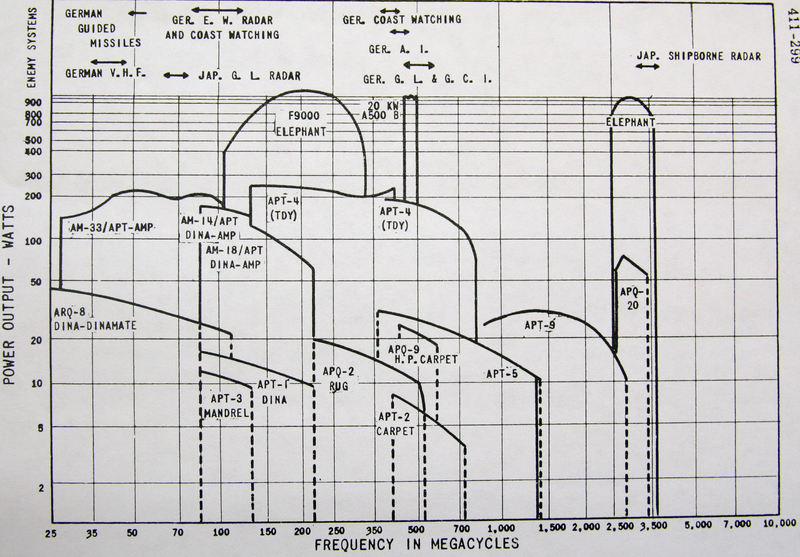 And the way we were going to do it was with electronic/signals intelligence. But the technology that supported intelligence gathering against our WW II enemies was not sufficient to penetrate the Soviet Union. The U.S. military had to develop new ways to collect intelligence. The engineering department and labs that Fred Terman established at Stanford University would play a key role in advancing electronic intercept and jamming technology to support the more sophisticated intelligence systems that the Cold War required. By the Korean War, U.S. policy held that the Air Force, carrying nuclear weapons into the Soviet Union, would be the means to fight World War III. Through World War II, the U.S. Air Force had been a part of the U.S. Army. It split off into a separate service in 1947. By the 1950’s, the Strategic Air Command (SAC) had become the U.S. Air Force’s long range bombing arm and the designated instrument of Armageddon. On the other side of the Iron Curtain, the defense of the Soviet Motherland lay with the Soviet Air Defense Forces, called PVO Strany, a separate branch of the Soviet military formed in 1948 designed to detect U.S. bomber raids, target and aim radar-guided weapons and destroy the U.S. bombers. SAC needed intelligence to understand the components of the PVO Strany air defense system in order to shut them down and make them ineffective so our bombers with their nuclear payloads could reach their targets. (The information we collected would be passed on to contractors who would build jamming devices the bombers would carry.) It sought answers to tactical questions like: What was the Radar Order of Battle a penetrating bomber would face? (Were there holes in their radar coverage our bombers could sneak through? What was the best altitude to avoid the Soviet defenses?) What were the different types of Soviet fighter planes? How many? How effective? What about the anti-aircraft (AAA) gun defenses? In addition the Soviets were adding a new type of defensive radar-guided weapon called the Surface to Air Missile (SAM). And on top of all this the Strategic Air Command needed to understand the current state of the Soviet Air Defense Force readiness and deployment updated on a daily basis. While the Air Force was working on collecting intelligence to execute their tactical missions, the CIA, founded in 1947, was responsible for providing U.S. political leadership with a much bigger picture. They developed the National Intelligence Estimate – a series of reports which summarized their judgment about the size of the Russian threat. Also seeking to learn more about the Soviet Union’s offensive weapon systems, the CIA wanted intelligence to help them understand: What type of strategic bombers did the Soviets have? How many did they have? How would they reach the U.S.? How would we know if they were coming? (Have they moved to their forward operating bases in the Artic?) The same was true about the Soviet defensive systems – how many fighters would they build and of what type? How many Surface to Air Missiles – what was their range and accuracy? And by the mid 1950’s the Soviets were testing ballistic missiles, both intermediate range that could reach Europe and intercontinental range that could reach the U.S. Whatwas their range? What was their accuracy? How big of a nuclear warhead could they carry (throw weight and yield)? The military needed to answer these same questions about the nuclear armed missiles the Soviets were putting on their submarine force. To give our leadership an estimate of the Soviet’s nuclear production capacity, the CIA also had to estimate how many nuclear weapons could the Soviet Union make. Where were their production facilities? What was the yield of the weapons and their weight and size? Throughout the 1950’s the CIA’s Office of Scientific Intelligence was heavily involved in the development of Electronics Intercept and Electronic Warfare Intelligence – and Stanford and the emerging startups around it would provide the systems and concepts to help. The Air Force adopted a cover story that these were weather data gathering missions. These flights were no secret to the Soviets, (given the sheer number of surveillance flights around the Soviet Union it’s surprising they didn’t need their own air traffic control system,) and they started to protest diplomatically in 1948. When our flights continued, the Soviets took direct action. In 1950, two months before the Korean War started, the Soviets shot down an ELINT plane over the Baltic. All ten crew members were killed. This was the beginning of a Soviet policy to stop ignoring incursions. They would attempt to force the ELINT planes to land in the Soviet Union or they would destroy them. 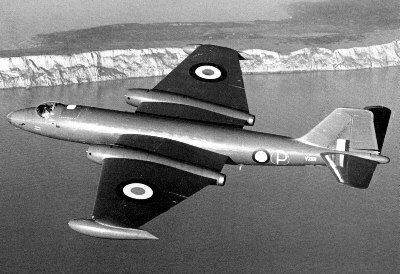 Every year through the the 1950’s and the early ’60’s the Soviets attacked and shot down at least one of our ELINT ferret aircraft. This was a deadly game. During the Cold War 32 U.S. ELINT planes were shot down by Soviet pilots with 225 U.S. airmen killed. (The numbers vary depending on the sources you read.) Regardless of the number, this was a deadly shooting war. Stanford and an emerging set of Silicon Valley startups would be deeply involved in designing the technologies, techniques and ELINT systems on these planes. Microwave Valley was about to take off. Details in the next post, Part VIII of the Secret History of Silicon Valley. Excuse the non-Customer Development, non-entrepreneurial post. I can’t get this one out of my head. One of the most interesting (declassified) stories of cryptography is the deciphering of Soviet communications to their diplomatic missions in the U.S during World War II. What was amazing about these decrypts was the Soviets used one-time pads which were theoretically unbreakable. The National Security Agency has a great website on the subject. 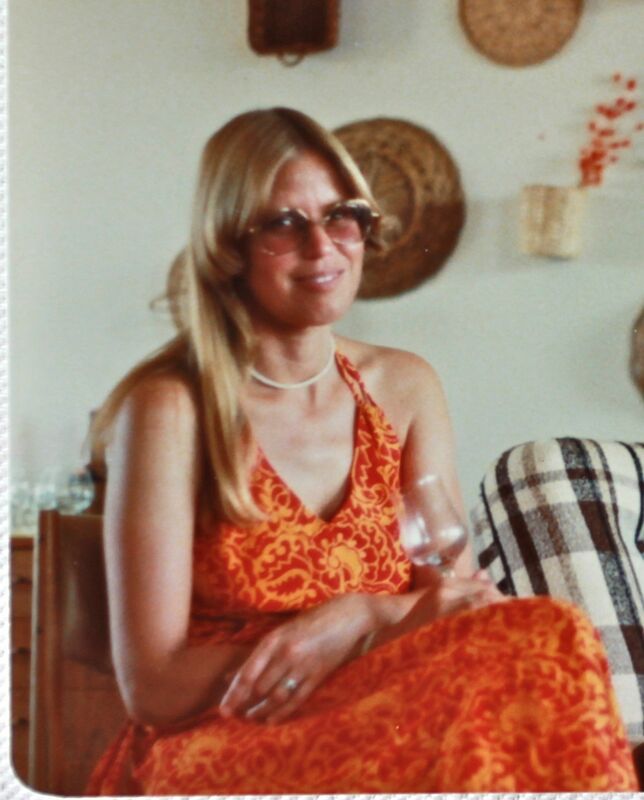 I had dinner last week with someone involved in the VENONA project (now retired.) We talked about one of the spies unearthed in the decoded messages; Ted Hall, a 19-year scientist at Los Alamos working on the Manhattan Project. For lots of complicated reasons Hall was never arrested nor charged with a crime. Hall’s interest in Communism came from literature his older brother Ed brought home from college. When Ted Hall went to work on the Atomic Bomb during World War II his older brother Ed joined the Air Force. Ed Hall eventually became the father of the Minuteman missile project, our land-based ICBM carrying nuclear weapons to destroy the Soviet Union. Surely the KGB, who ran Ted Hall as a spy, knew about his brother? Perhaps even first…? Oh, what a wilderness of mirrors we live in.